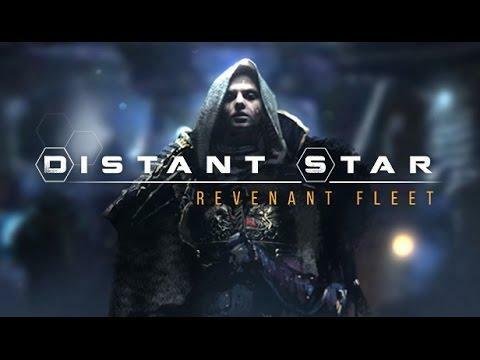 Distant Star: Revenant Fleet [Steam], a fleet-based RTS also described as a 'rogue-lite' released for Linux earlier this month, here's what I think. The game begins with a slick cutscene describing how a once unified humanity found an ancient relic called the "Arc" on Mars, this then pushed the human race through the stars. Now, many years later (it doesn't describe how long), you as the A’kari are under siege by the Orthani who've unleashed the "Erebus Platform", a Death Star-like super weapon aimed at your planet. I should note, that the gameplay isn't entirely a traditional RTS. It's real-time with pausing to enter a tactical mode, so you do get a chance to think and readjust your strategy as needed. On top of that, the building and upgrades system is done in-between the missions and there's no traditional building as you're always on the move between sectors. It's also different in the way that you lose units. During a battle, if a ship of yours runs out of health, it will be disabled rather than destroyed. It will be revived on your next jump, but it may come with some critical damage in the form of negative modifiers. Get too much critical damage and it's possible it may actually just blow up. The jump system is very FTL-like, as you're presented with a map to click various points inside each section, with each point having different events and enemies. You might exit your jump to find a space station under attack, enemies waiting for you and more. I don't want to spoil too many of the events, but you get the idea. I've seen it compared with FTL a lot, but apart from this system of jumping between sectors it's really not all much like it. The battles do involve a little micro-management, since some ship types and their weapons do require being fired manually. You also have to keep their range in mind, the enemy range and keep moving. Not an issue with the tactical pause, although I rarely needed to actually use that since the battles are all quite small in scale and easy to manage. The actual combat is quite a bit like the Battlevoid games, if you've played either of them you will feel right at home here. Naturally, my first real battle past the tutorial didn't end well. My long-range ship with the powerful Lance weapon was disabled and gained a leaky reactor, causing constant hull damage and my gunship had Ion particles leaking in, causing a drain on the shields. Thankfully, my capital ship survived without too much trouble. Luckily, I later came across an event concerning an old repair ship that wanted to help, so for a cost I could get those critical issues fixed up—sweet! Some of the encounters aren't as fun as others, capturing stations for example was a little boring, as you just move your fleet within a circle and after a few second they're captured and there's not usually many enemies around. I've also seen the exact same encounters a number of times, so it could have done with some more types of encounters to stop it feeling stale once you've put a few hours into it. If you're a spaceship combat junky like me and you love strategy games, it's definitely a game to take a look at. I like it, but I feel like there's not enough there to make me want to keep going back to it after finishing it once or twice. It needs a lot more unique encounters, that's something I'm certain of. 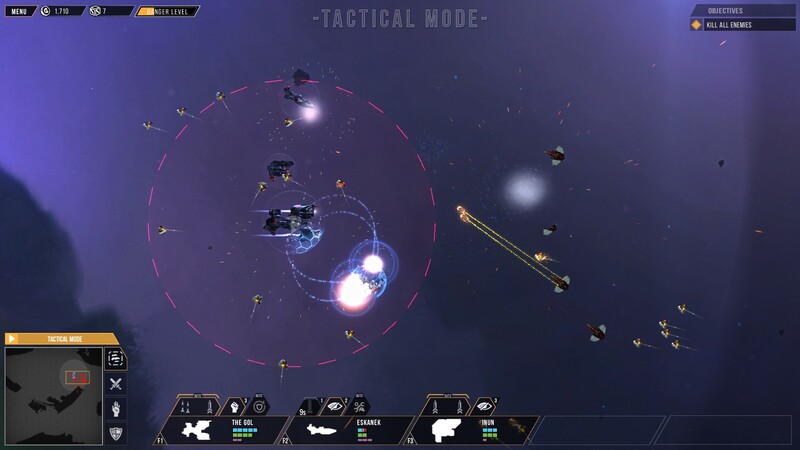 Find Distant Star: Revenant Fleet on Steam.